A vehicle parked in Rochester Way has had both its number plates stolen. The offence took place sometime between 10am last Friday (11th January 2019) and 11am the following day. The vehicle was parked on the property’s driveway at the time. 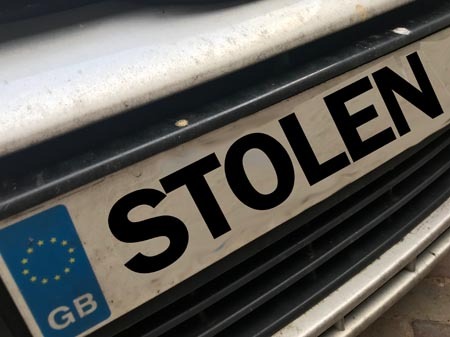 Thames Valley Police say stolen number plates can be used in other crimes and it is therefore important people report such incidents. Similar crimes have previously occurred in the village with a vehicle in nearby Walton Avenue having it’s plates taken in May 2015. Anyone who believes they saw anything suspicious, or believe they have information relating to this incident, is asked to call Thames Valley Police on 101, quoting reference 43190011766.